I saw this among the wall of photos in the lobby of Fishman’s Fabrics on South DesPlaines in Chicago. 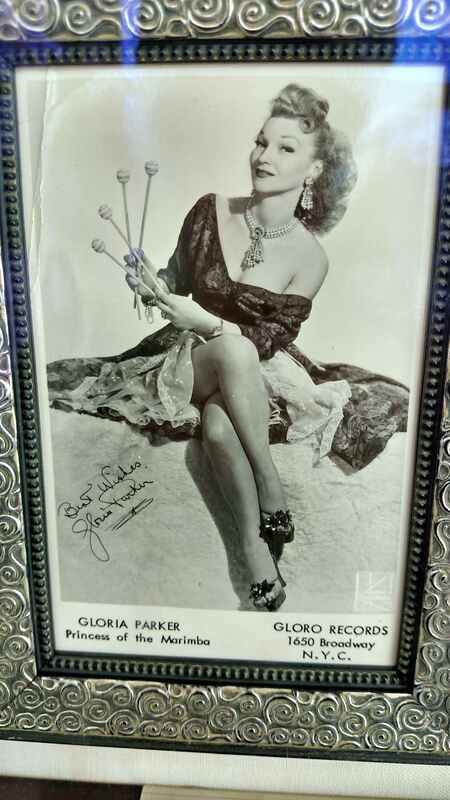 I had to take a photo of the 40’s era publicity shot of Gloria Parker, Princess of the Marimba. Turns out she has quite the musical legacy and had her own radio show on ABC from 1950-57.